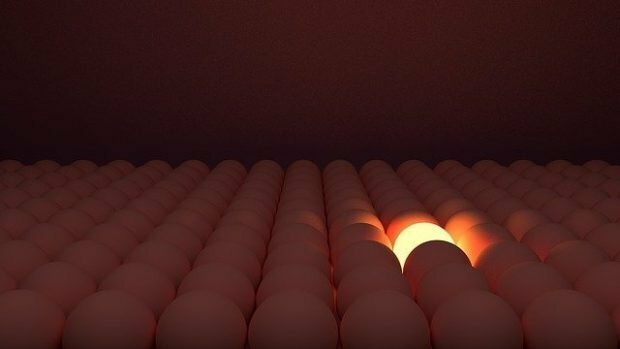 A Franchise Advisor dares to be different. Whenever someone contacts me about my franchise advisory services, I send an email back confirming that I received their request for information, and ask them for a couple of good days and times for me to follow up via phone. During our introductory call, (which is always free) I learned a little about Jim’s situation. He had been downsized from NASA, where he had been employed as an electrical engineer for the last 15 years. He wasn’t quite ready to retire-he felt that he had 10 more good work years in him. He wasn’t sure if he wanted to work for someone else again; he told me that he had always thought about going into business for himself, and that maybe this was his time to do just that. 1. Franchise “consultants,” and brokers, are paid large commissions by some franchise companies for introducing people like him to their concepts. (Payment comes after the franchise contract is signed and the franchise fee is paid by the person they referred.) The commissions are lucrative enough for these consultants to offer their matchmaking services for free. It’s a number’s game just like anything is in sales. I also told Jim that franchise consultants/brokers only worked with a set number of franchise concepts; the ones that pay! For example, when I was a franchise consultant/broker, (same thing) I worked with around 150 different franchisors. To put that into perspective, there are currently 3,000 different franchise concepts to choose from. So, if you work with a broker, you’re only going to be exposed to a fraction of all the franchises that are available for you to learn about! 2. My services aren’t free. Now, I didn’t tell Jim that in a condescending way, mind you. I just had to educate him a little bit on how I worked. I told him that my franchise advisory services are customized; everyone that’s interested in franchise ownership is coming at it from a different place, and also from a different stage in the process. Some prospective franchise owners are like Jim; they don’t really know a lot about franchising, so they need several sessions with me. (Via Skype and phone) These comprehensive sessions are at first educational; I teach these clients all about franchising, and then show them how to find out if it’s for them. After they’ve determined that they’re probably a fit for the business model of franchising, I show them how to evaluate their top work skills, and then teach them how (and where) to find opportunities in franchise ownership that could be a great match for their top skills. But, (and this is the biggest difference between what I do, and what franchise brokers do) I don’t point them to any specific franchise opportunity. Instead, I show them how to find it on their own, but with me right by their side. A franchise broker only shows them franchises that the broker has formal contracts with, and would get a commission from. When someone chooses to work with me, they know going in that I don’t receive any commissions for introducing them and/or placing them into a specific franchise. Now if you’ll excuse me, I need to go find my raincoat. That’s because every franchise broker located in the US is going to start throwing tomatoes at me. I didn’t say that franchise consultants are bad, and that you shouldn’t work with them. I just wanted to point out the differences. There are actually several franchise consultants (although my list of franchise consultants is shrinking fast) who I’d recommend working with. Contact me if you’d like a referral. FYI: I wrote an entire chapter on franchise consultants in my franchise book. My online course includes a lot of facts about franchise consultants, too. What’s your take on franchise consultants? You’re quite welcome. You do good work. For those not familiar with the franchising nomenclature, this blog was very thorough and I’m sure, very helpful.